The company would supply the wellhead device, and the Christmas trees. For the products, the primary bearing pieces are molded by the low alloy steel (the stainless steel),with the strong bearing capacity. For the wellhead device, it's with the max. Working pressure of 140MPa and the max, hanging load of 500T.It could satisfy API's material grades of AA, BB, CC, DD, EE and FF, the temperature grades of L, P, S, T, U and V. In addition, the products are withthe standard and grade of PSL1-4,and the capacity grade of PR1-2. It's available to supply different structure to meet the wellhead and devices with the different casing programs and under with the different working conditions. In addition, there are also the Christmas trees and the auxiliary tools for your choice. We could also design and manufacture according to the client's requirements. The christmas tree is the assembly of the valve and the accessories, which is used for the fluid controlof the oil/gas well, and supplying the inlet for the tubing string. The Christmas tree refers to allthe devices on the tubing head and the flange. The Christmas tree could be assembled differently so as tomeet the different requirements, could be used for oil exploration, gas exploration, water adding,compression fracture, acidification ,etc. The different Christmas trees are with the different pressure grades. 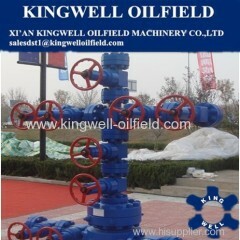 The Christmas tree and tubing heads are mainly used for gas exploration and adding. Because the natural gas is with the low relative density and adding pressure, while the wellhead is with the high pressure and flow rate, it would be easy to leak. The tube and the sleeve should be with double valves. 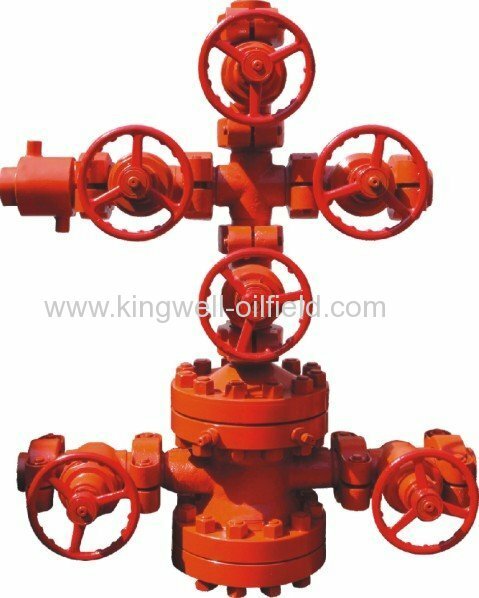 The valves should be forged by the best-quality steel for the high-pressure or extra-high-pressure gas well. The main bearing pieces of the christmastree and the tubing heads are forged or cast, with the advantages of high bearing capacity, safety, reliability, etc. It is a professional supplier for oilfield products according to the API standard. We exporting ALL KINDS OF OILFIELD MACHINERY AND TOOLS with super Quality and Competitive Price in CHINA. We are looking forward towards a long lasting association with your esteemed organization for our mutual benefit. Any reasonable documents with the shipments depend on your requirements. Please contact us for any enquiry within our manufacturing scope and we will be happy to serve you by supplying quality products.